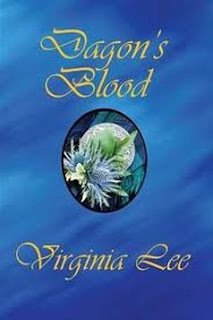 The Jacobite Rebellion of 1745 Scotland casts its great shadow over the land, irrevocably changing the course of Lady Leigha Clairemont’s young life when her home is attacked and her father, a known Jacobite, is killed by invading English soldiers. Taken captive by the commander, Captain Simon Montieth, she escapes and leaves the man for dead, a man who will not stay down. Thus begins her journey that takes her from war torn Scotland into the Mediterranean and then on to the slave markets of Constantinople. Her heart is tossed and torn between the love and desires of three men. Despite the adversities and heartbreaks, she overcomes the winds of fate and the wills of men, maturing from her innocent youth into a courageous, beautiful woman who stands free and strong at last. Lee, Virginia (2011-01-20). Dagon’s Blood (p. 285-287). Xlibris. Kindle Edition. Seeing a glint of a tear tracing down his fine cheek, she felt a strong wave of warmth and tenderness wash through her, and instinctively, she knew that he needed and wanted her very much, perhaps even loved her. This sudden revelation slammed through her like lightning, causing an intense answering cry in her own heart for him. There was only this moment, this now, with him. She could no longer deny that the force she had been fighting against all of these months was love. Throwing all thoughts of caution to the sea winds, she came around the table to stand before him, her arms open and beckoning him to her. Her heart was racing and her head pounded as he took her hands in his. He slowly lifted his eyes to hers and drank deeply of her emerald pools with the crystal blue glaze of his own. He trembled as he stood and tenderly enfolded her in his warm embrace. Stepping back a bit, he tilted her face up to his and looked deeply into her eyes before bending to kiss her softly with trembling lips, his heart jumping in surprise when she gave no resistance to his kiss and made no move to back away from him. He pulled away enough to touch his forehead against hers, breathing deeply of her perfume and warmth, and closed his eyes as he sighed. Simon was surprised when Leigha laughed softly into his shoulder, and he held her away so as to see her face as he looked at her in confusion and pain. Simon’s heart pounded and rang with her words as he impulsively lifted her up into his arms and carried her over to their bunk set against the wall of the ship. Setting her down gently, he knelt to kiss her deeply before laying beside her. His heart fairly burst as she returned his embrace and as eagerly sought his mouth. Leigha smiled warmly up at him as he turned his full attention to her lovely form. She had lain beside him many times before, but now, she was not turning away. Her arms were open wide to hold him close, and as he kissed her full mouth again, Simon’s thoughts of everything, save his love for her, vanished. 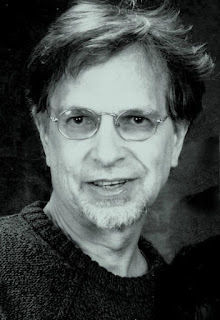 Nicholas A. Rose is the author of the Ilvenworld novels and novellas. He enjoys everything to do with the sea, the outdoors and mountains, which he finds inspirational. Nicholas also enjoys the rather more sedentary pastimes of chess, reading, real ale and, of course, writing. IAN. Hi Nicholas. Please tell us about your latest book. NAR. Markan Empire is the sequel to Markan Throne and continues the story of Marcus Vintner's efforts to claim the throne. Problem for our hero is that somebody else has that throne and the Senate is reluctant to push that someone aside for Marcus. IAN. How long did it take to write Markan Empire? NAR. From first draft to going online, just over a year. NAR. Completion of Markan Throne, which threw out more ideas, many included in Markan Empire. NAR. I write whenever I can. Like most people, a busy schedule dictates when I write, rather than my own preferences. NAR. A mixture of both. The end is (nearly) always written first, so I know where I'm going, but there is a lot of winging. Which means much more editing of course, but it is the way I do it. IAN. 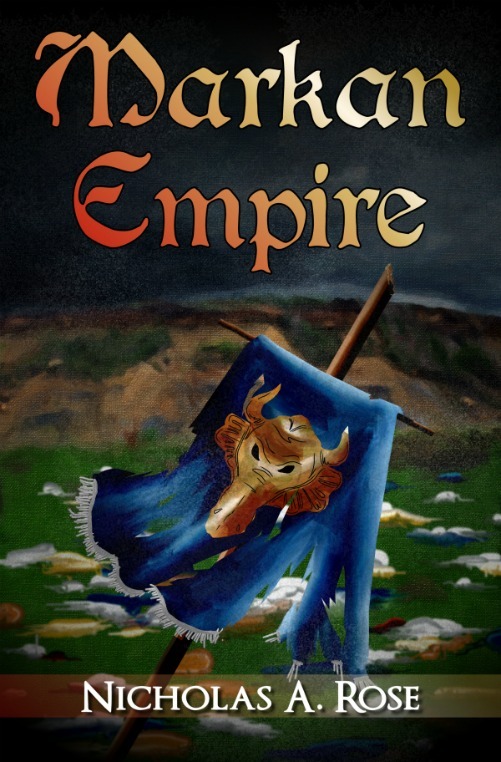 How is Markan Empire different from others in your genre? NAR. Probably because I've weaved the "magic" part into the general philosophical and religious elements of the ilvenworld. Every other author keeps them separate in some way (nothing wrong in that btw, no criticism from me), while it's part of everyday life in my books - even if non-Gifted people try to pretend otherwise! IAN. Is Markan Empire published in print, e-book or both? NAR. e-Book only so far. NAR. A feeling of satisfaction and a need to learn which plotlines are ended in the next book. I do not set out to tease readers, but when they turn the last page, I'm a very happy chappy if they want more. IAN. Where can we go to buy Markan Empire? NAR. Amazon Kindle and Smashwords are good places to go looking. 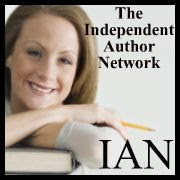 All the links are on my #ian1 page of course! NAR. The main WIP is Book III of the trilogy, Markan Sword. It sees the conclusion of the main plotlines in Book I, but it does end with a cliffmax. NAR. It's all on my #ian1 page. Though there is a website coming very soon, for all the bits and pieces, such as background information, maps, sylph language. That'll be up as soon as I've got everything sorted! Even snug in the folds of her cloak, Silmarila wished the late winter wind would ease its chill blast. Carts and sedans queued, patiently waiting their turn to enter Marka. She waited with them on the narrow road into the city, wanting to draw no attention to herself. Many less patient than she walked past and ignored choice comments thrown their way by those less mobile than themselves. She smiled wistfully at the huge pyramid dwarfing the city, a giant ruby light-crystal at its apex. Those seeing Marka for the first time stared more at this feature than any other and she overheard their awed murmurs. The city was impressive, but the pyramid overwhelmed it, dating from a time when much knowledge, now lost, abounded. Mounted guardsmen rode down the line to break up a fight a little further along. One glanced at Silmarila; he eyed her walking staff and tried to see into the cowl of her cloak. Then he was past and she was forgotten. Many fighting men eyed her walking staff with respect. They knew a quarterstaff when they saw one. She'd had no call for it on her journey, but these were troubled times. "All right, that's enough!" One of the guardsmen tried to break the fight up. "Enough, or your time in Marka will be spent in a cell." The queue surged forward before halting again after a few steps. Many were travel-worn family groups, drawn by the offer of free land. Some might even be farmers and their families. Silmarila wondered how much "free" land was left and of what quality. Although for very different reasons, the rumors that lured these people were the same that brought her to Marka. She had no need of free land. She looked towards the city gates. Marka had an emperor again. Rumor that two claimants to the vacant Throne had been called to Marka caught her attention and stirred her to action a year before. She left her comfortable village to return home and hopefully reclaim her rightful place. More rumors followed hard on the shirttails of the first. One claimant had defeated the other; one had murdered the other after the battle; a general had gone berserk and murdered both claimants... Silmarila could hardly wait to learn the truth. There were always rumors, but these were many and too fast to be other than truth, even if embellished. "Break it up, I'm telling you!" The scuffle had broken out again. "Any more and you're arrested. All of you!" She was already on the road when she heard the whisper of a no longer vacant Throne. She had initially discounted what the rumor said; she had laughed at such a ridiculous notion. A sylph on the Throne? A sylph, ruling humans? But the nearer she came to Marka, the more persistent the tale and, now she was here, she had no alternative but to accept it as truth. When stories of the siege reached her, she almost turned back. She had never flinched from advising it when necessary, but she hated war. All that suffering and pain and hunger and grief. There was an ilven in Marka. She hadn't seen one of the sisters for, for... Well for longer than she cared to remember. But it was not the ilven who pulled her onward. There was also a young gwerin. A baby gwerin with no idea what was expected of her, alone and in need of schooling. She shivered as the wind chewed through her cloak. The city walls were more or less as she remembered them, with a repair needed here and there after last year's siege. Most buildings that poked their upper levels above the walls were different, but some familiar edifices loomed benignly toward her. The only constant in life is change. She smiled as she recalled her tutor's words. Sometimes it came slowly and sometimes it seemed as though change had ground to a halt, only to rush forward like an avalanche in winter. It was inexorable, but blind and not all was for the better. She wished change would affect this damned wind. In early spring, the Markan winter clung tenaciously to its empire, spiting nature's attempts to drive it away. She grimaced at the human remains hung in a cage above the gate, picked white by carrion and weather. The placard announced to the literate that these were some of the remains of Hingast, failed invader of Marka. He was not the first to fail to take the Jewel of the World and she doubted if he would be the last. Some rumors claimed Hingast was still alive. She pushed the cowl of her cloak back to show her face to the guard at the gate. He gave her a once-over before nodding her through. He had no reason to deny her entry, even if he knew who and what she was. Especially if he knew. She passed through the gate and into the city. She took a deep breath, she was home. Though the trees that lined the center of the main road were new, the streets followed a familiar layout. The bustle of Marka at work was the same and she was certain of the way to the Imperial Palace. Sylphs thronged the crowd, as numerous as ever. If any recognized what she was, they gave no sign of it, but Silmarila increased her pace anyway. She sensed the end of her journey while drinking Marka's sounds and scents, all so painfully familiar she knew she had missed them. Another corner and she was there. The Coronation Building was the same; she would be shocked if that had changed. She grimaced at the ugly warehouse, built a good time ago to judge from the state of it. That would never have been allowed in Emperor Evlander's day. She left Senate Square and the Imperial Palace was before her.